For most women, tampons are a necessary (and expensive!) evil. Heard of o.b. tampons? They’re applicator-less, and you may not have tried them yet. Whether you’re curious about o.b. tampons — or a diehard fan — we recently discovered a quick way to get three free boxes. 1. 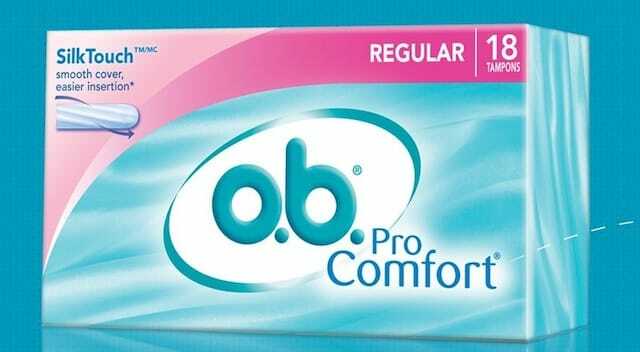 Click on this link, answer a few questions and get a FREE 18-count sample of o.b. ProComfort tampons PLUS a full-value coupon for a later purchase. 2. Then, head here to take a brief survey. If you say you use tampons and are willing to try applicator-less ones, you’ll get a free sample of o.b. ProComfort tampons and a coupon for 50 cents off a later purchase. Your free samples should arrive in six to eight weeks, according to the offer. Your Turn: Will you snag this deal? Let us know in the comments!